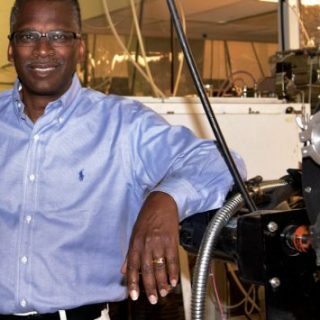 Lonnie Johnson is president and founder of Johnson Research and Development Co., Inc., a technology development company, and its spin off companies, Excellatron Solid State, LLC; Johnson Electro- Mechanical Systems, LLC; and Johnson Real Estate Investments, LLC. Johnson holds a B.S. degree in Mechanical Engineering, an M.S. degree in Nuclear Engineering, and an honorary Ph.D. in Science from Tuskegee University. Upon graduation, he worked as a research engineer at Oak Ridge National Laboratory, and then joined the U. S. Air Force, serving as Acting Chief of the Space Nuclear Power Safety Section at the Air Force Weapons Laboratory in Albuquerque, New Mexico. In 1979, he left the Air Force to accept a position as Senior Systems Engineer at the NASA’s Jet Propulsion Laboratory in Pasadena, California, where he worked on the Galileo mission to Jupiter. Returning to the Air Force in 1982, he served as an Advanced Space Systems Requirements Officer at Strategic Air Command (SAC) headquarters in Omaha, Nebraska, and as Chief of the Data Management Branch, SAC Test and Evaluation Squadron at Edwards Air Force Base in California. He was awarded the Air Force Achievement Medal and the Air Force Commendation Medal on two different occasions. In 1987, he returned to the Jet Propulsion Laboratory where he worked on the Mars Observer project and was the fault protection engineer during the early stages of the Cassini (Saturn) project. He was responsible for ensuring that single point spacecraft failures would not result in loss of the mission. During his nine year career with JPL, he received multiple achievement awards from NASA for his work in spacecraft system design. In 1989, Johnson formed his own engineering firm and licensed his most famous invention, the Super Soaker® water gun, to Larami Corporation. Two years later, the Super Soaker®, generated over $200 million in retail sales, and became the number one selling toy in America. Larami Corporation was eventually purchased by Hasbro Corporation, the second largest toy manufacturer in the world. Over the years, Super Soaker® sales have totaled close to one billion dollars. 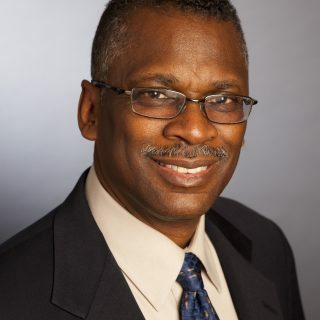 Currently, Lonnie Johnson holds over 100 patents, with over 20 more pending, and is the author of several publications on spacecraft power systems. Two of Johnson’s companies, Excellatron Solid State and Johnson Battery Technologies, Inc. (JBT) are developing revolutionary energy technology. JBT is introducing a new generation of rechargeable battery technology which has the potential to revolutionize the battery industry. Providing a source of energy many times that which exists today in a substantially reduced size, this technology will solve many of the problems related to technology mobility in the future. Excellatron has developed a thermodynamic energy conversion technology that converts thermal energy to electrical energy with significant advantages over alternative systems. This technology has the potential to revolutionize the global energy market when fully commercialized. 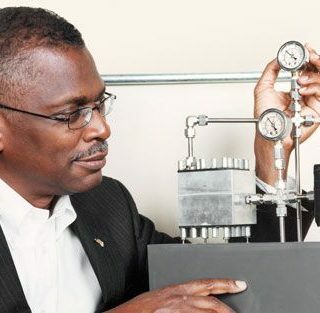 Articles on Lonnie Johnson have appeared in numerous publications including Time Magazine, the New York Times, and Inventor’s Digest. Johnson serves on the Board of Directors of FIRST (www.FIRSTinspires.org). He is a Board member of the Hank Aaron “Chasing the Dream” Foundation (https://chasingthedreamfoundation.org), and has serves as a Trustee to the Boys & Girls Club of America (www.bgca.org).